Stephen Cartwright, CEO of the NSW Business Chamber. NSW Business Chamber is a not-for-profit member organisation committed to helping businesses of all sizes manage their people and growth more efficiently. It is working to unify the chamber movement in Australia and strengthen the voice of business. LABC is a member of the Local Chamber Alliance Program with NSW Business Chamber giving our members direct access to NSW Business Chamber entitlements. There are over 2 million small businesses in Australia, employing over 7 million people. That’s over 60% of our workforce. Yet, for too many years, small business has been overtaxed, overregulated and overlooked by government. The upcoming Federal election presents small business with a rare opportunity to get on the political agenda. But, small business is, by nature, small. The only way they can make a big enough noise to be heard in Canberra is to bring all those small voices together. This campaign has been developed to do just that. By uniting the many small voices of small business all round the country, our aim is to show politicians that, together, small business is too big to ignore. ACCI is the nation’s peak council of business organisations & the authentic voice of Australian enterprise & industry. Australia’s largest and most representative business association, ACCI speaks at a national and international level on behalf of the nation’s peak State and Territory Chambers of Commerce and Industry and National Industry Associations from all sectors of the economy. The Australian Chamber Alliance has been established as a National representative body by all seven Australian State and Territory Business Chambers, to develop business opportunities on a national basis. 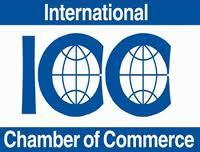 ICC is the voice of world business championing the global economy as a force for economic growth, job creation. ICC is a unique global business organization. ICC is a steadfast rallying point for those who believe that strengthening commercial ties among nations is not only good for business but good for global living standards and good for peace. 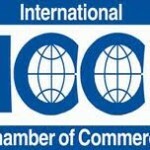 ICC established the World Chambers Federation in 1950 to be the advocate of its notable proportion of chamber of commerce members. A non-political, non-governmental body, WCF is the backbone of the chamber community, uniting the global network of 12,000 chambers and their business communities. The World Chambers Federation is a unique and global forum that not only helps individual chambers to become more productive, but also strengthens links among them.